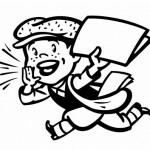 The meeting was held on Tuesday evening at the Howard Beach Library. For generations, excessive noise has been a seemingly endless source of irritation from Breezy Point to Beechhurst. 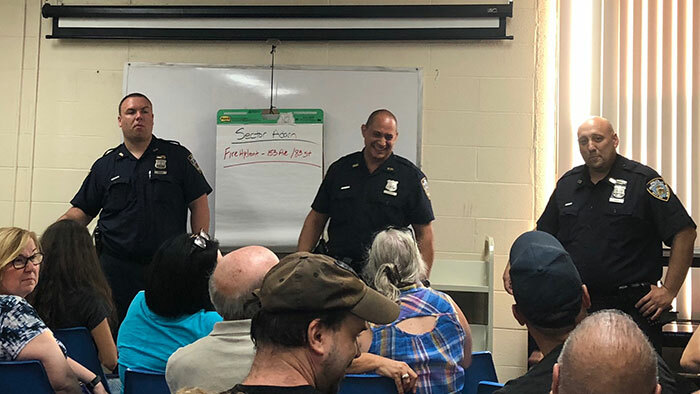 And in recent weeks, Queens’ quality-of-life cacophony has created a summer of discontent for several Howard Beach residents who brought the issue to the attention of 106th Precinct Neighborhood Coordination Officers Tuesday evening at the Sector A (Howard Beach, Lindenwood) Build the Block meeting. The “mystery music,” along with decidedly not harmonious sounds are emanating from the Howard Beach-Brooklyn border. The 106 NCOs Pete Paese and Mike Petrizzo indicated that they have discussed the problem with their colleagues in East New York’s 75th Precinct. The NCOs on Tuesday also encouraged meeting attendees gathered in the Howard Beach Library to continue calling and/or texting 311. Some weary residents let out exasperated sighs when the city’s non-emergency governmental services and information line was even mentioned. “311 is not good at responding, but they are a very good tracking system,” said long-time Community Board 10 Chairwoman Betty Braton, who later noted that Howard Beach isn’t even the noisiest patch of the precinct. 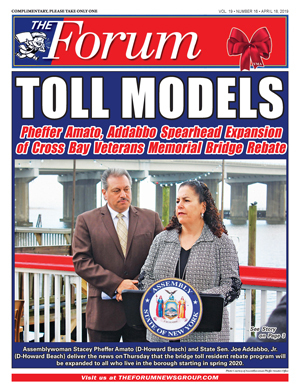 That honor is shared by South Ozone Park and Richmond Hill.